Stonewall Surveying is proud to announce that for the second year we will be entering a Team into the 20th Annual Barrington Peeper 5K Race put on by the Greater Barrington Chamber of Commerce on May 3rd. This event raises money for three college scholarships awarded by the Barrington Chamber of Commerce. Team Stonewall Surveying will have around 55 runners and walkers for the event! Stonewall Surveying will match and donate registration fees to the Barrington Food Pantry. Together, along with more than $900 in entry fees for the Barrington Chamber Scholarship Fund, Team Stonewall Surveying will be donating more than $900 to the Barrington Food Pantry. Each participant will also receive a T-shirt for Team Stonewall Surveying and a goodie bag. This team effort was made possible with the assistance of our sponsors. The T-shirts and goodie bags will be funded by Wedgewood Graphic Design, Collins Sports Center, Friend-Lee Pets, Cleary Cleaners, Sweet Olive Bakery, Leddy Group, Philbrick Sports, Integrated Fitness, Eagle Point Home Inspection and KCM Construction, LLC. In the month of April, I will spotlight each business in a separate Blog and Facebook post to help you learn more about these wonderful businesses that I have had the pleasure to work with and receive support from. 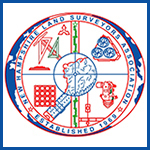 Stonewall Surveying would like to thank each participant and each sponsor for their support! « Do You Need Flood Insurance?